Delivering complex information to time-poor audiences is a common challenge. 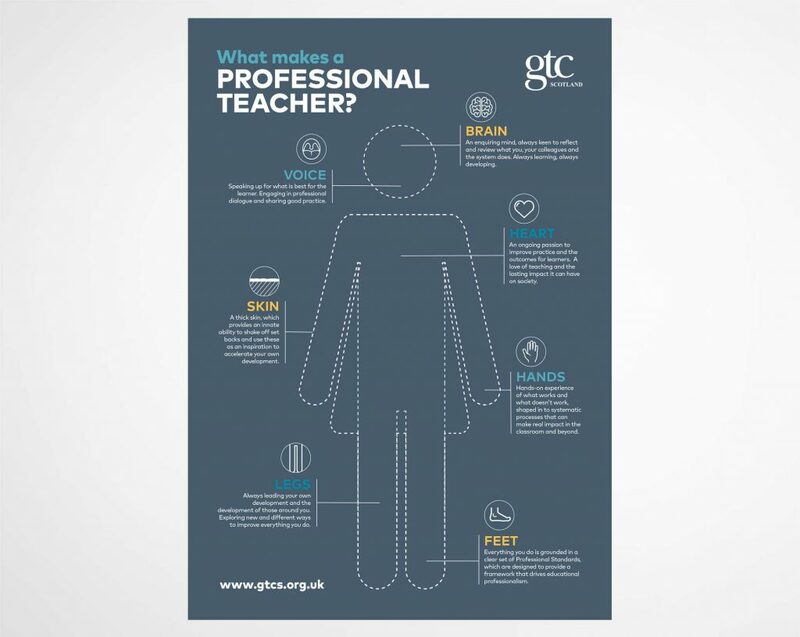 When GTC Scotland asked us to create an infographic that defined Teacher Professionalism, we realised less was definitely more. Their idea contained a host of complex detail crowded on a single page – and assumed the audience already understood the topic. Instead of a single graphic, we developed an engaging multi-platform campaign that encouraged debate. An initial visual call to action – ‘What makes a…?’ – encouraged teachers to share their thoughts, which GTCS used in presentations and at the 2016 Scottish Learning Festival. 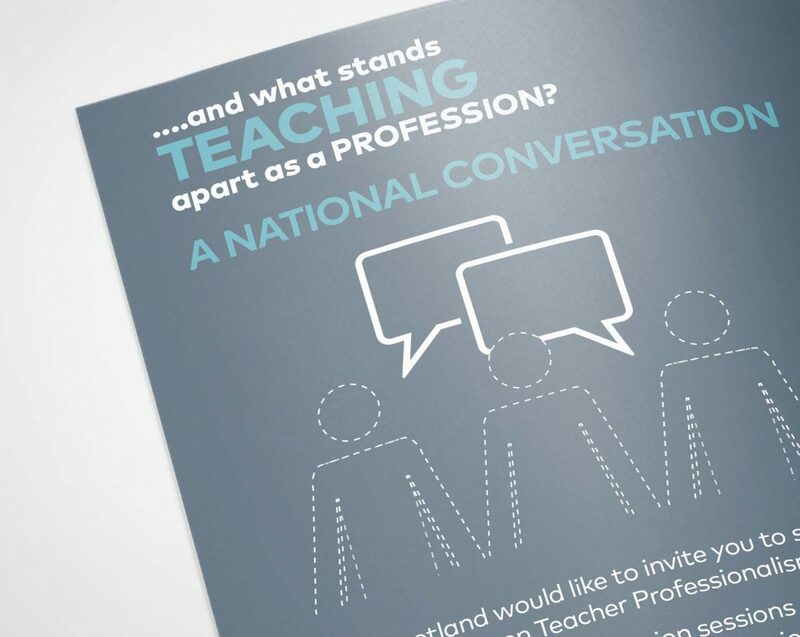 The debate continued with articles in Teaching Scotland magazine. Demand was so huge, GTCS ran workshops and will present again at the 2017 Scottish Learning Festival. Our visual was also so popular we needed a reprint, and was developed for ads. Most importantly, we turned a complicated idea into something simple that engaged the target audience – and delighted our client.